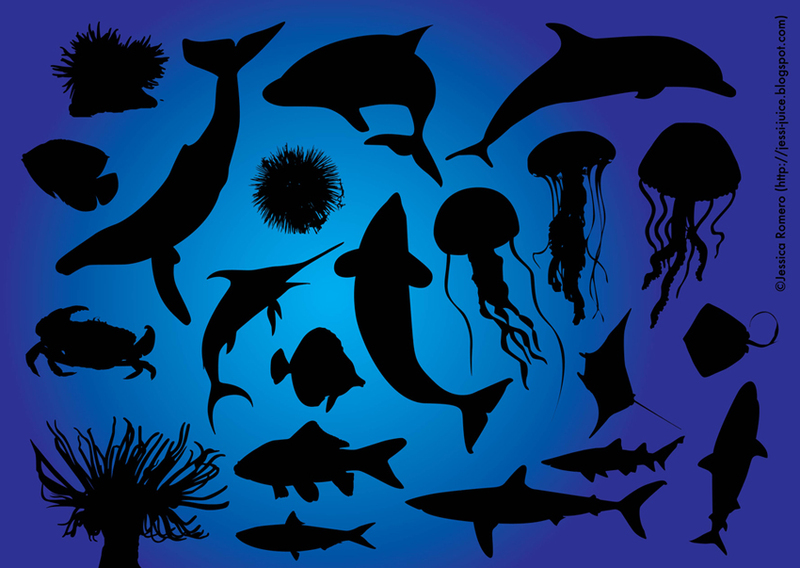 Sea life silhouettes vector art pack. Set of many fishes and other sea life silhouettes, big and small: crab, jellyfish, dolphin, shark and whale. Download zip includes Illustrator ai, eps, pdf and svg. Vector illustration by jessi-jess.blogspot.com 0.